The owner or landlord and tenant agree to certain rights and obligations for these periods but do not specify an ending date, so it's an indefinite period of tenancy. Since no ending date is specified, notice per the agreement must be given for termination and vacancy. While generations of Americans have striven to own their homes, there are still millions of single family, condominium, and apartment rental homes. There always will be millions of rental homes because not everyone wants to own or can for various reasons own a home. Especially after the housing and mortgage market crash, rental homes are in big demand and the cost of renting has been steadily rising. Rental property has always been a popular investment class, but it has gained a lot of ground since the crash. 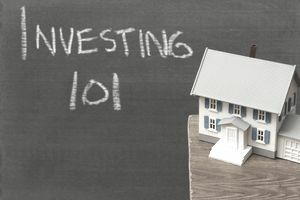 There are TV shows about flipping and owning rental homes, and there are "gurus" teaching real estate investment in courses and seminars around the country. It is an excellent investment diversification strategy, and you can indeed build a great retirement with rental property. If you're considering investing in real estate rental property, there is a lot of research to do. Cash flow from a rental property is one of the most important items on your list. You should also be sure that you're suited to being a landlord, and that you have the time to manage properties. The breakout of the rental cash flow is the Rental income NET cash flow: this is not a tax liability calculation, but a straight out-of-pocket cash flow problem. In other words, we'll take out our mortgage payments, though all of that will not be deductible. We want to see the difference in actual cash flow in and out of our pocket. You can't minimize the importance of meeting every item in Property Management Areas of Responsibility. The property manager is the owner's partner in maximizing the return on investment of the property through efficient performance of these four functional areas of responsibility. The property management company acts in the best interests of the owner to maintain the property, keep it occupied with tenants, collect rents, budget improvements and maintain records. Tenant and Occupancy Management: A property can be nicely designed and in a desired area, but it will not be a profitable rental property if tenants aren't managed properly and occupancy maintained at a high level. Care should be taken to take seriously the Maintenance & Repair Considerations for Rental Property. Preventive and ongoing maintenance to rental properties requires a thorough knowledge of the property, its needs for upkeep, staffing required to accomplish the tasks and budgeting to accomplish them. The real estate property manager must balance the costs of routine and preventive maintenance with the benefits and desired results. One of the most important considerations in property management includes the Marketing & Financial Functions of Property Managers. Property managers have a responsibility to balance expenses so that their clients can realize profits. For this reason, property managers typically prepare budgets aimed at estimating the cost of maintaining and improving their clients' properties. The most successful budgets come fairly close to the actual expenses required to manage a property. If you want to own rental properties, you do not have to manage them. Just be sure to factor in the costs of professional management when you're doing due diligence and calculating ROI and cash flow. Often the headaches you offload onto the professional property management company make the cost of professional management well worth it.